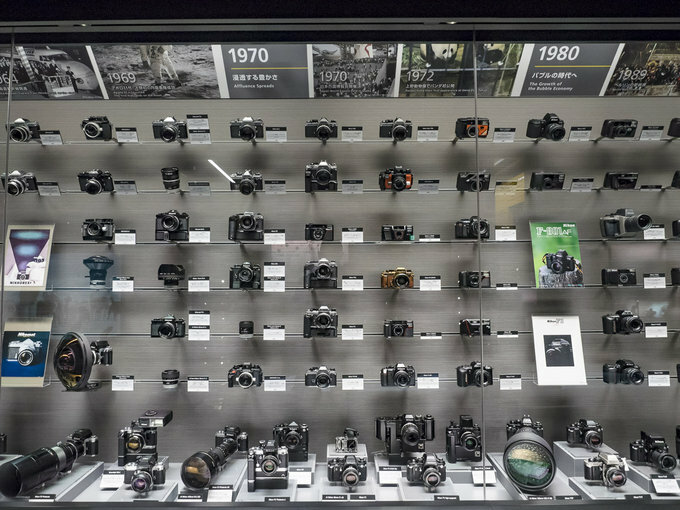 A glass cabinet over a dozen meters long is the most prominent feature of the Nikon Museum. 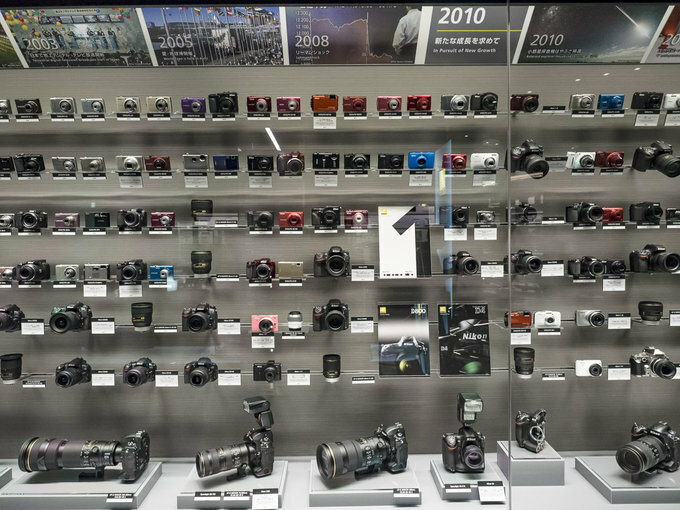 It contains about 450 products positioned in chronologic order – from the first Nikon Model I to the newest reflex cameras. You can also read stories behind chosen exhibits and find out how particular technologies have been developed over the years. 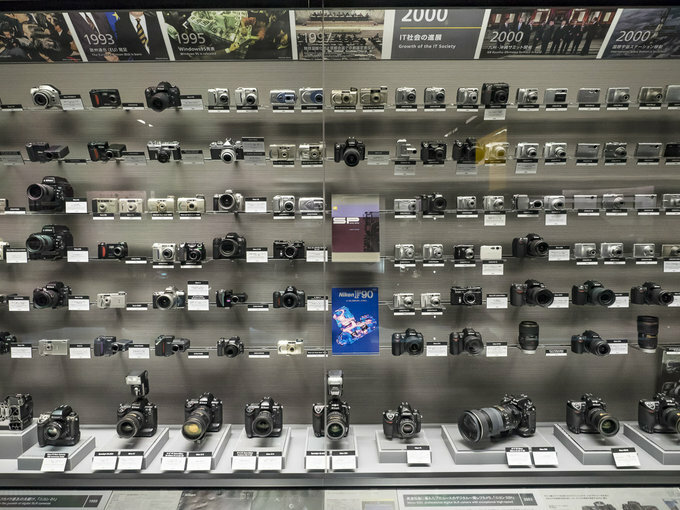 Before I start describing the content of that big cabinet let me stop before a smaller one, dedicated to first years of Nikon. 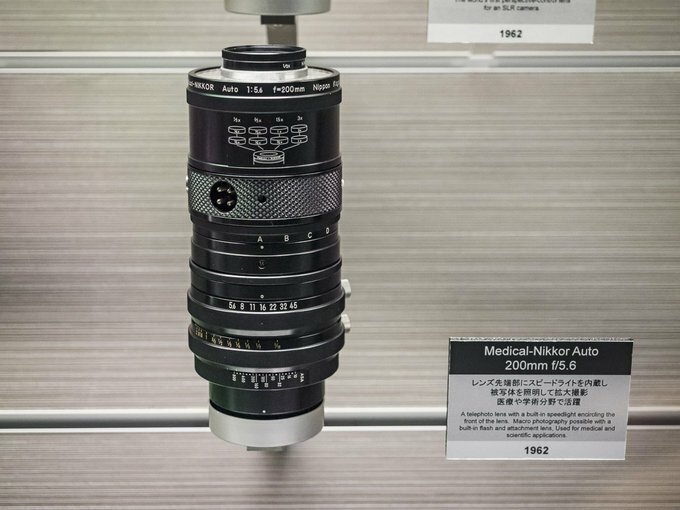 The company was created as a manufacturer of precise optic instruments. 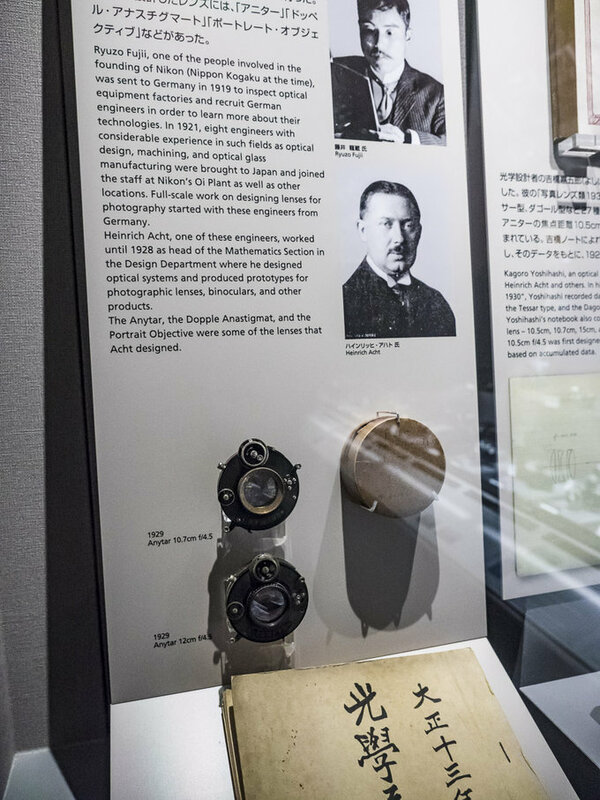 In 1919 one of the founders, Ryuzo Fujii, invited some German engineers; they were to teach Japanese workers their craft and support the design department. As a result the first prototypes of Nippon Kogaku lenses were created. 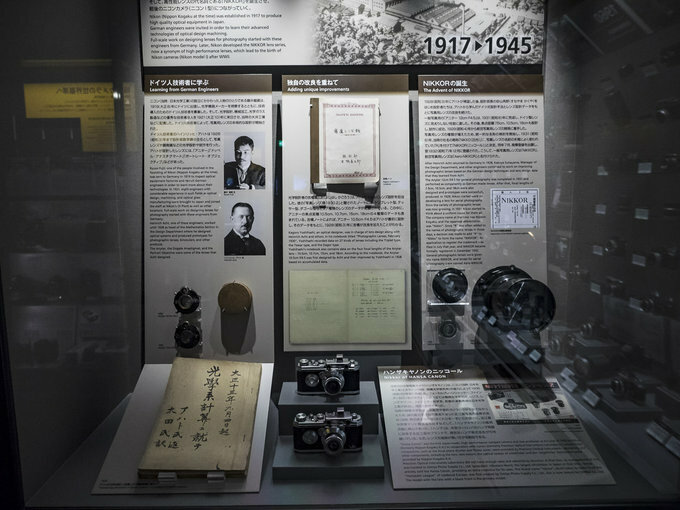 After about seven years the Germans left; at that point the Japanese had already enough skills and knowledge to prepare their own original constructions. 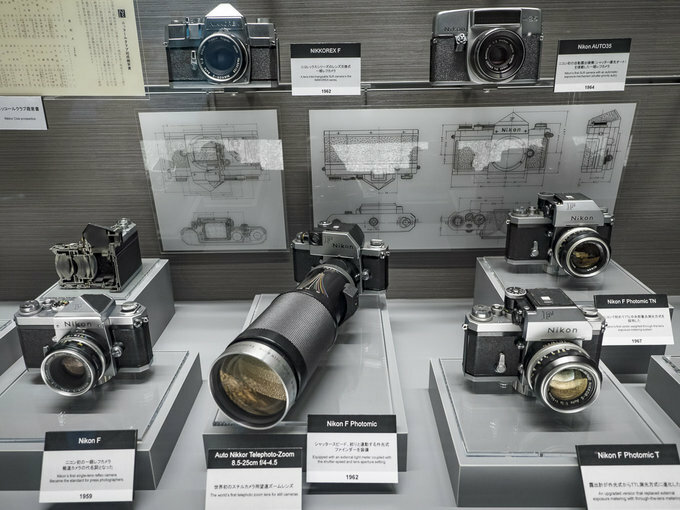 That’s when first Nikkor lenses and Hansa Canon cameras – first professional Japanese compact cameras - were produced in cooperation with the Seiki Kōgaku Kenkyūjo company (Laboratory of Precise Optical Instruments) which now is called Canon. 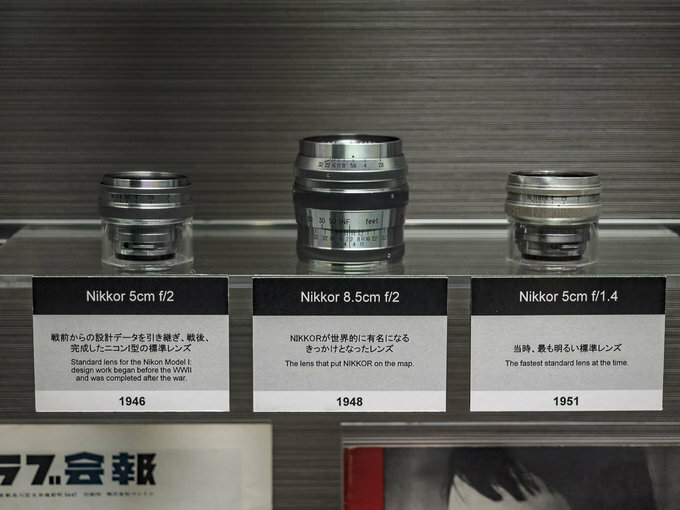 As a participant of that project Nikon was responsible for designing a lens, a mount and optical elements of a viewfinder and a rangefinder. 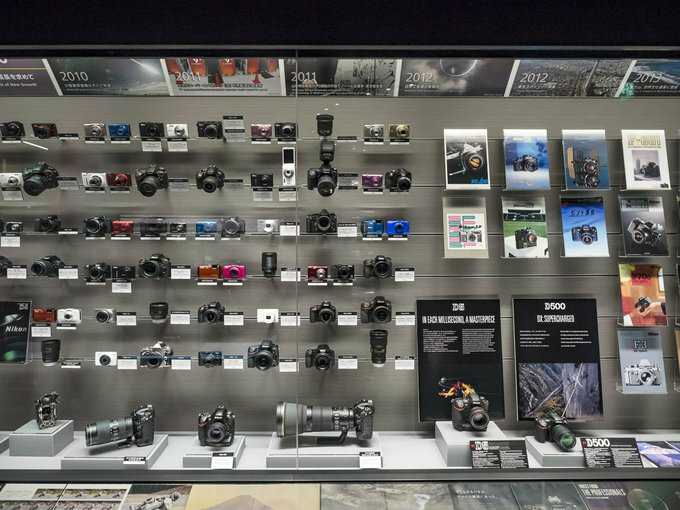 Now let’s return to the big cabinet with all the products positioned in chronological order. 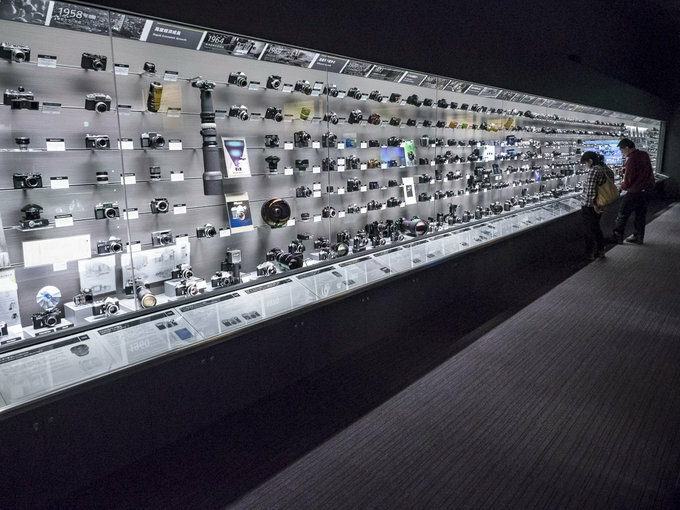 It has to be said the exhibits from the 40s, the 50s and the 60s don’t take much space there. 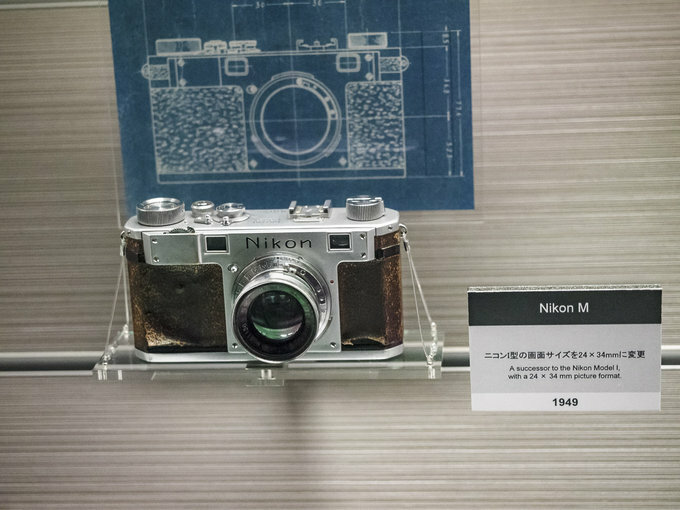 At the very beginning you see the Nikon Model I produced in 1948 along with three system lenses; then there’s its successor from 1949 called Nikon M.
There are also several interesting tidbits like the Medical-Nikkor 200 mm f/5.6 equipped with an illuminating ring and designed for macro photography, the Stereo-Nikkor 3.5 cm f/3.5 produced in 1957 for 3D photos, the 1956 Nikkor-N 5 cm f/1.1, a model exceptionally fast aperture-wise, or the first Nikonos which allowed you to shoot photos in water at a depth of up to 50 meters. 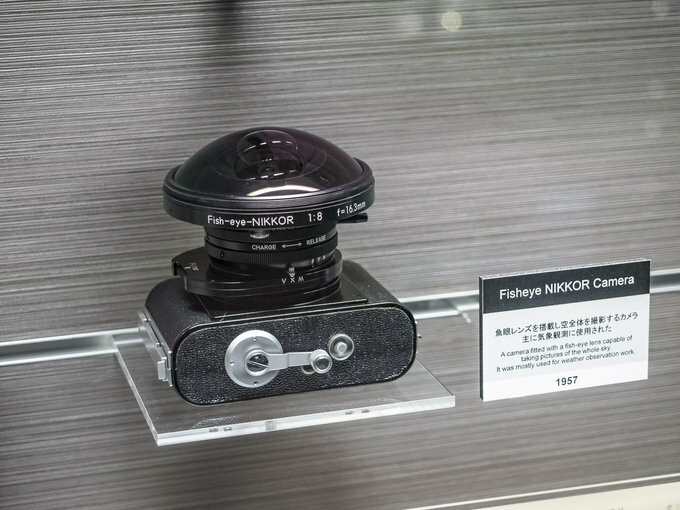 The Fisheye Nikkor Camera caught my interest as well – it is a compact camera with an in-build fisheye lens which was used for astrophotography. 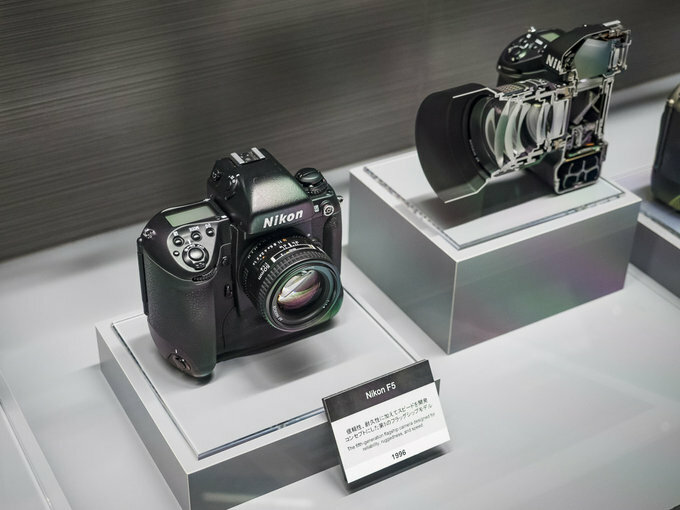 Nikon F is a camera model which combined optics and precise mechanics technologies of Nikon. 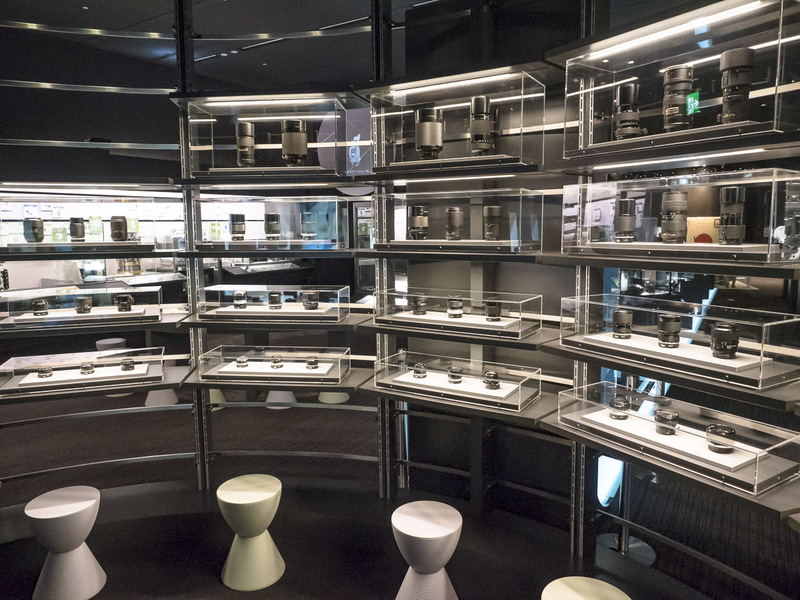 It created a stir around the world for 15 years (until 1973) and over 800 000 specimens were produced. 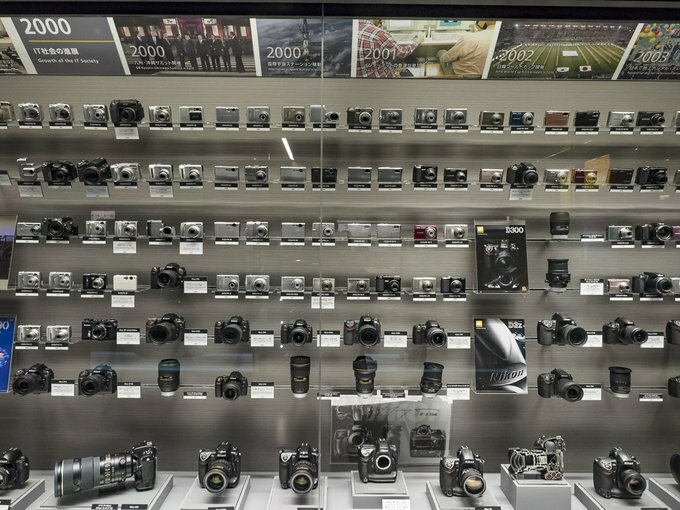 It made the Nikon and NIKKOR brand names popular among the widest public. Main parts like the mirror box, the pentaprism mechanism and the bayonet mount were designed completely anew. The rest stayed basically the same as in the Nikon SP. Still some important technical problems, concerning the mirror box mechanisms and the prisms had to be resolved. 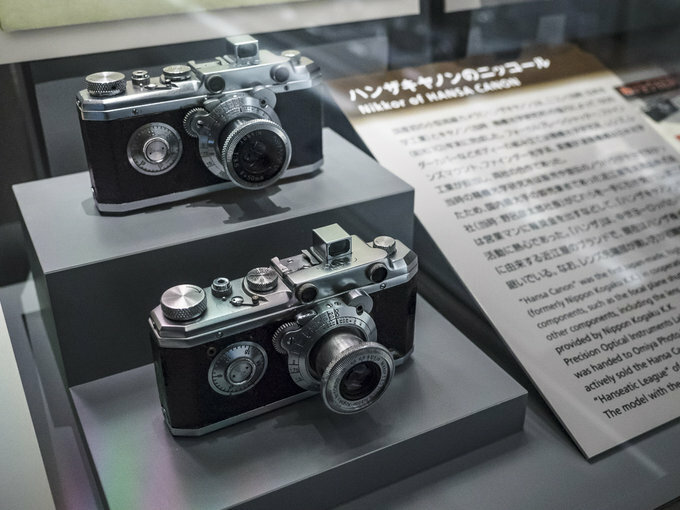 It included the problem of switching at high speed between the optical axis for the photographic system and the optical axis for the viewfinder system, all of this with the reflex mirror. The bayonet mount was constructed with stainless steel materials for excellent durability and corrosion resistance, to be able to bear the weight of telephoto lenses. 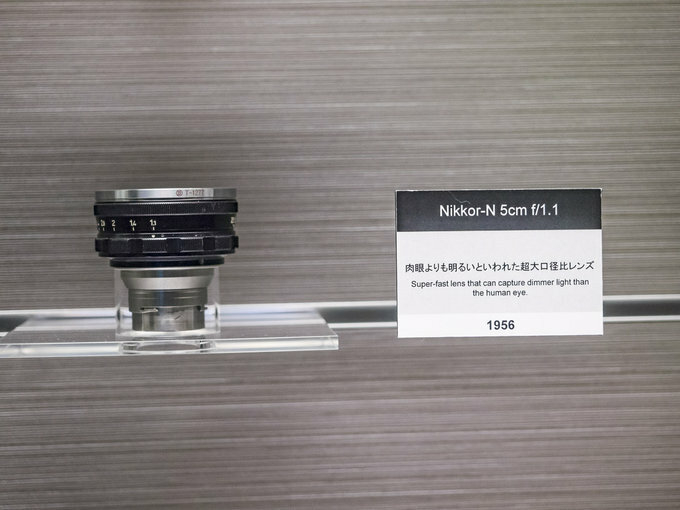 In addition φ44 mm (φ34 mm for Nikon S series) was selected for the inner diameter of the mount, allowing for the possibility of using lenses with a larger aperture in the future. 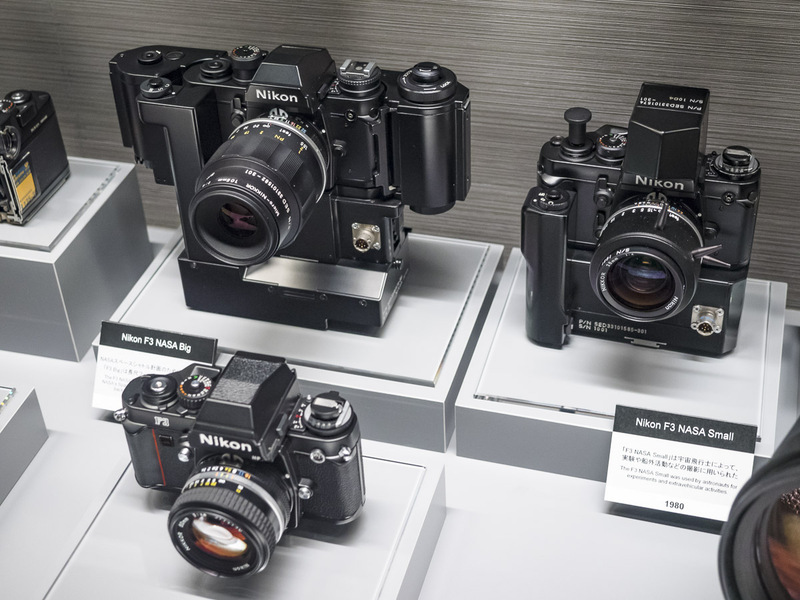 This mount , from now on called “Nikon F mount” ,was original breakthrough since it has been in use for over 40 years to date in the 21st century, without need for any change. It is the longest-used mount system in the world, initially designed for the 35 mm reflex camera. The Nikon F made good use of SLR cameras’ asset as they are able to register exactly the same image on the film as you see in the viewfinder due to 100% of frame coverage in the viewfinder. 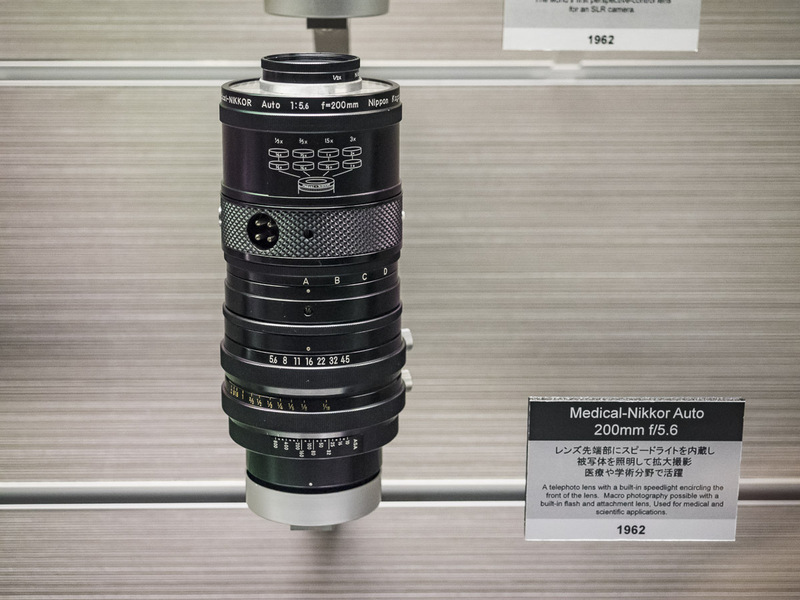 The shutter foil was constructed of titanium (0.02 mm in thickness) for the first time in the world. 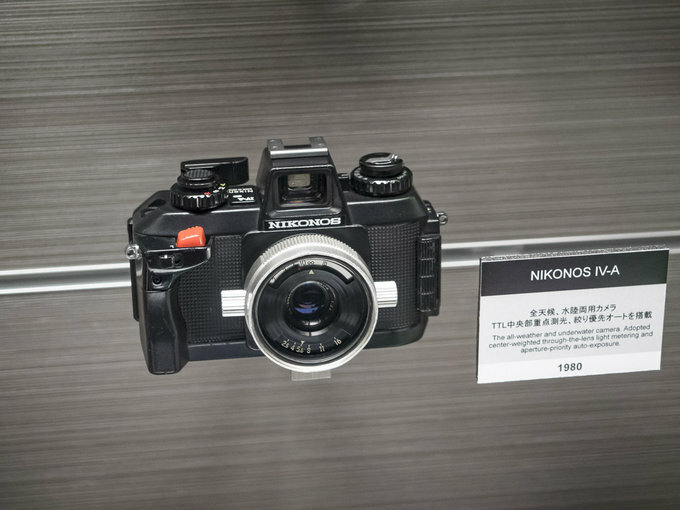 Also for the first time the camera provided full coupling of not only the shutter speed but also the aperture to the exposure meter, making it even more precise. 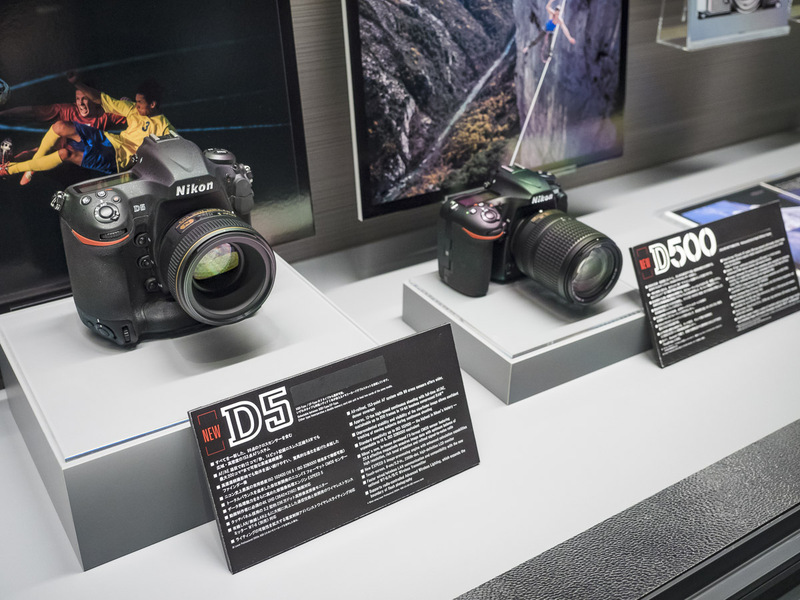 The accessories, typically required for the system were made available at the initial stage. 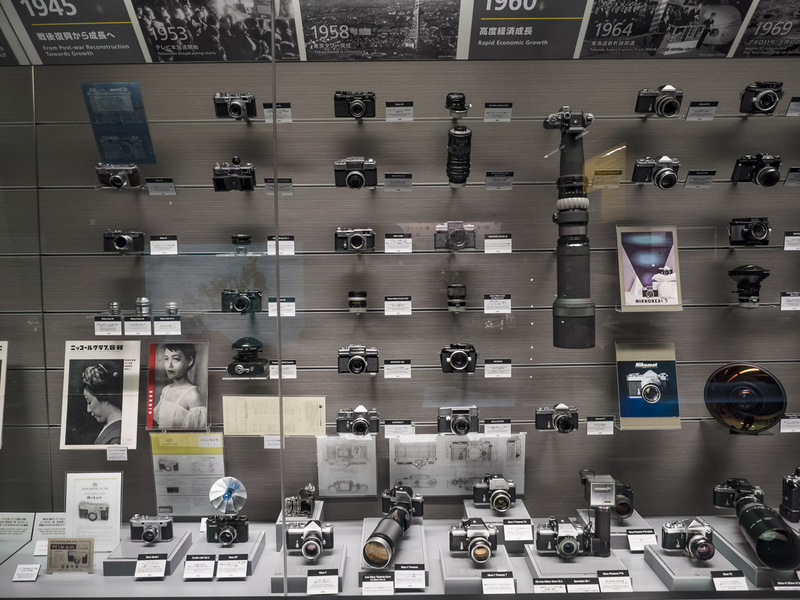 Particularly, the practical application of a motor drive in the SLR camera was first in the world (continuous shooting available at a rate of up to 3.6 frames per second). 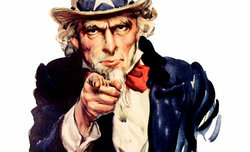 Let’s pass to the 70s and the 80s of the previous century. The cult Fisheye NIKKOR Auto 6 mm f/2.8, a lens which is able to look backwards, really sticks out in that part of the exposition. 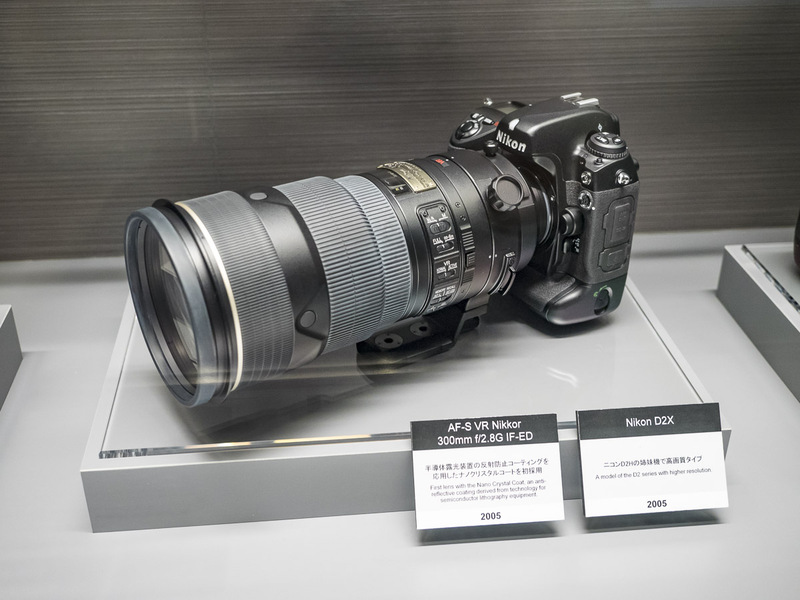 Its angle of view amounts to 220 degrees and its price is equally impressive, reaching on some auction sites 40 thousand USD. 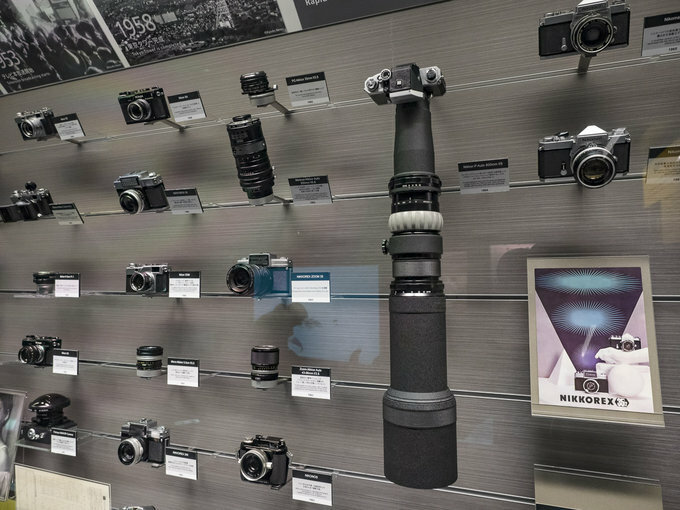 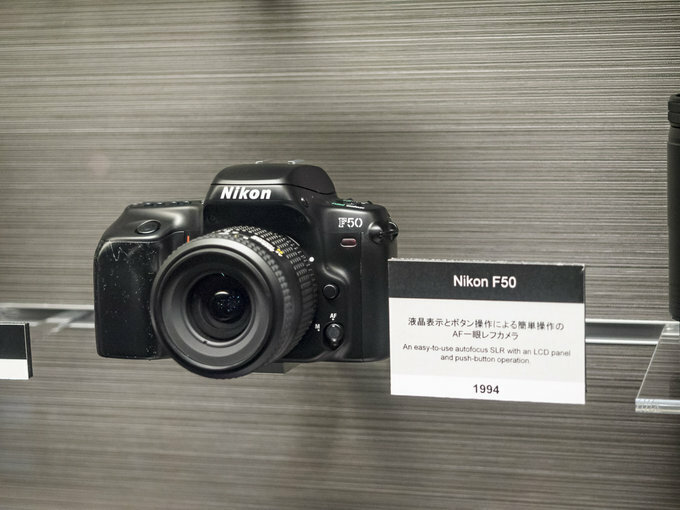 The aforementioned two decades in the Nikon history were marked by next version of the F system reflex cameras and newer and newer Nikonos camera. In that period automation was already an important part of photography – the Nikomat EL with electronically controlled shutter in the aperture-priority mode or the TW Zoom, the first zoom compact camera with autofocus produced by Nikon, are the proof. 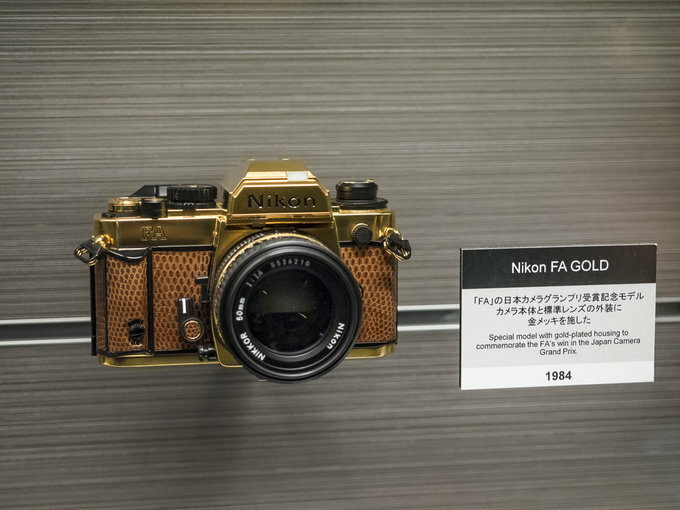 Look at this lovely Nikon FA with golden finishing – it was created to celebrate the victory in the Japan Camera Grand Prix competition. The Nikon L35AWAF, waterproof up to a depth of 3 meters was the predecessor of the Coolpix AW series. the cameras had to withstand significant differences in temperatures as well as sudden impacts with objects and up to 7G accelerations . It seems the Nikons Phtomic FTN performed well in space because in autumn 1978 the Japanese engineers were given another task by the NASA. This time they had one year and a half to create a reflex camera with an automatic exposure system for 250-frame films which could be changed during the photography session. 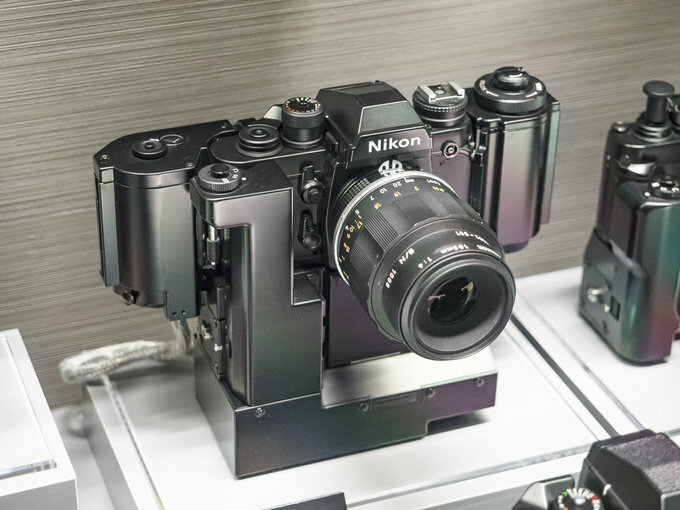 The design team decided they could execute such a project if they used the technologies and development of the Nikon F3. 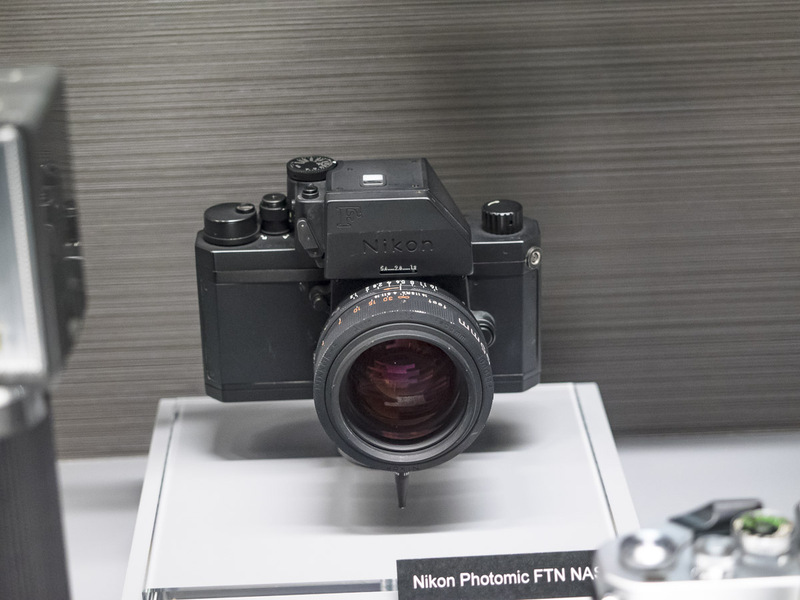 That way in 1980 they created the Nikon F3 NASA Big and it was passed to the NASA even before the official launch of the Nikon F3 on the market. 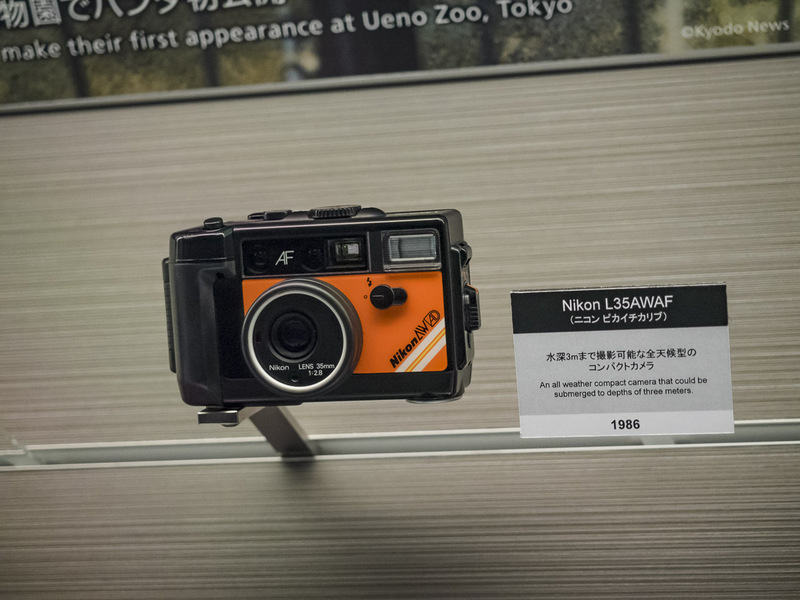 Along the F3 NASA Big also the F3 NASA Small with 72-frame film cassettes was constructed. The F3 NASA performer well in space and the basic version of the Nikon F3 was appreciated by the customers as well, carving itself a place in the history of photography. 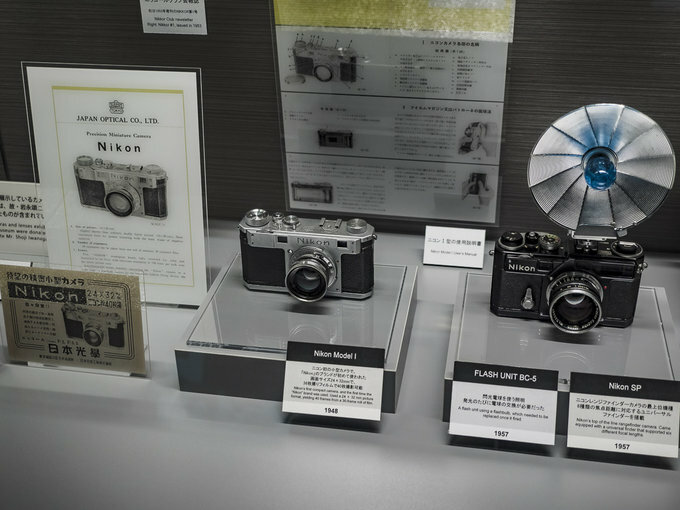 As a flagship model, the Nikon F3 introduced completely new technologies at those times, like the first mechanically controlled shutter and the electronic circuits for exposure control with the aperture priority. Along that it also featured an LC display in the viewfinder, a TTL sensor put in the lower part of the mirror box and the flash exposure controlled by the lens (TTL). In addition one of the key features of the Nikon F3 included the motor drive which design had been based on the concept that it was not an accessory but an integral part of the camera. The motor drive speed increased to 6 frames/sec. 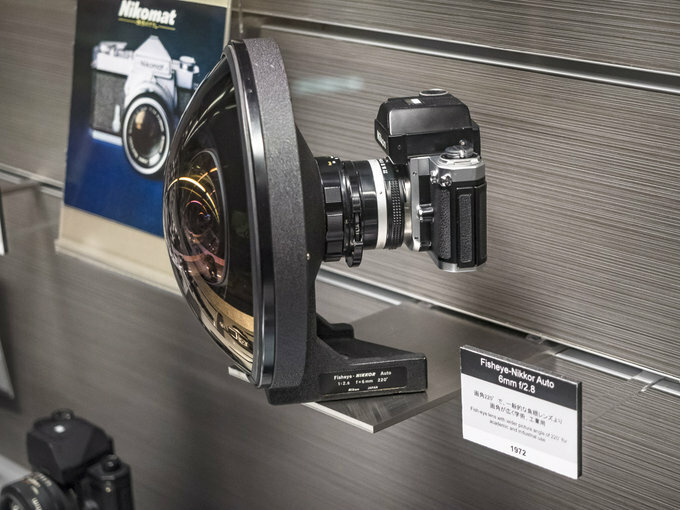 Giorgetto Guigiario, an Italian car and industrial designer, created the holistic exterior of the integrated camera body. 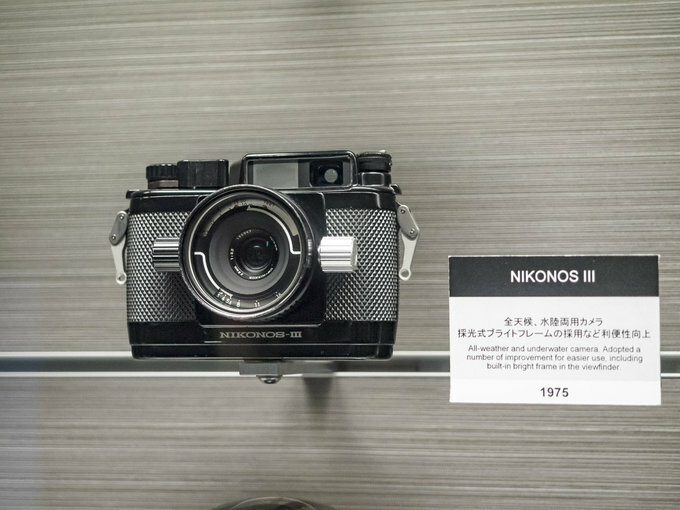 The Nikon F3 was like a whiff of fresh air in the industrial design, aiming at simplicity of form, with a concave section on the front of the body for gripping and the eye-catching red vertical line. These elements would exert a large influence on subsequent camera designs. 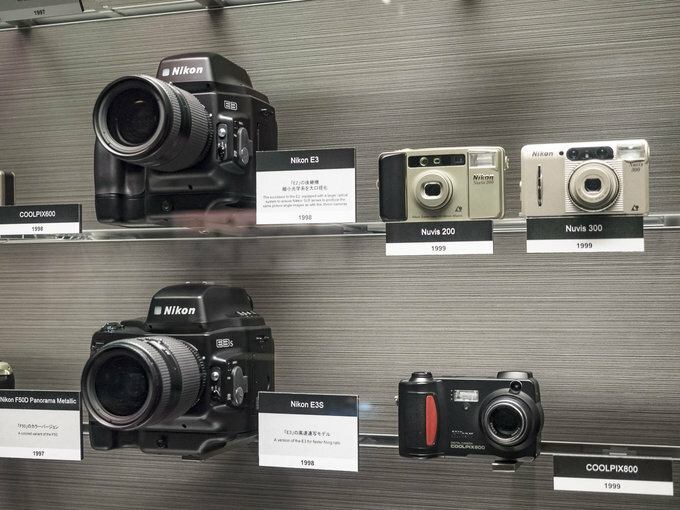 The 90s of the previous century saw definitely more product launches. 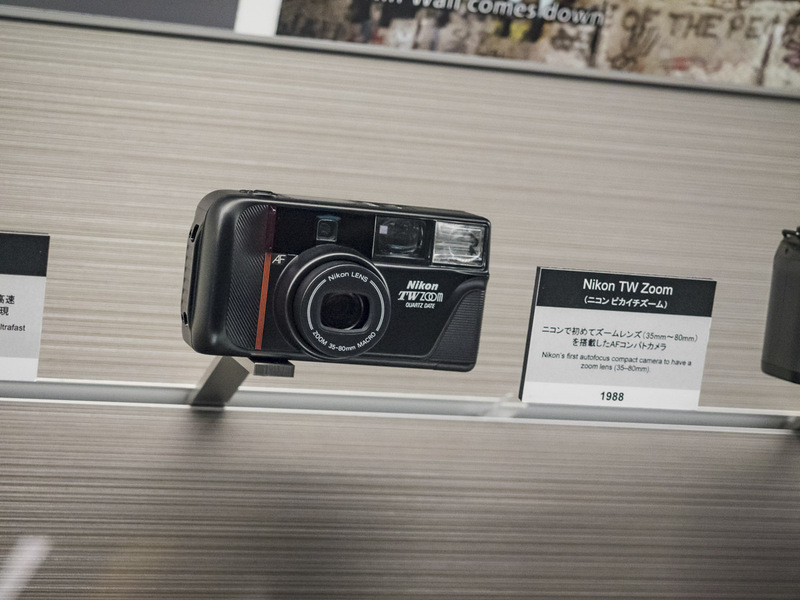 That decade brought not only the fifth version of the Nikon F but also many products aimed at mass market. 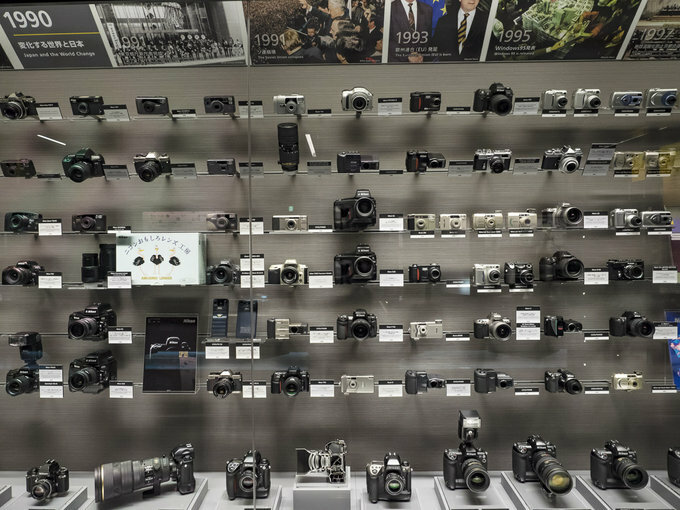 We think here mainly about the Nikon F50 reflex camera but also about small, automatic compact cameras, flooding the markets around the world. 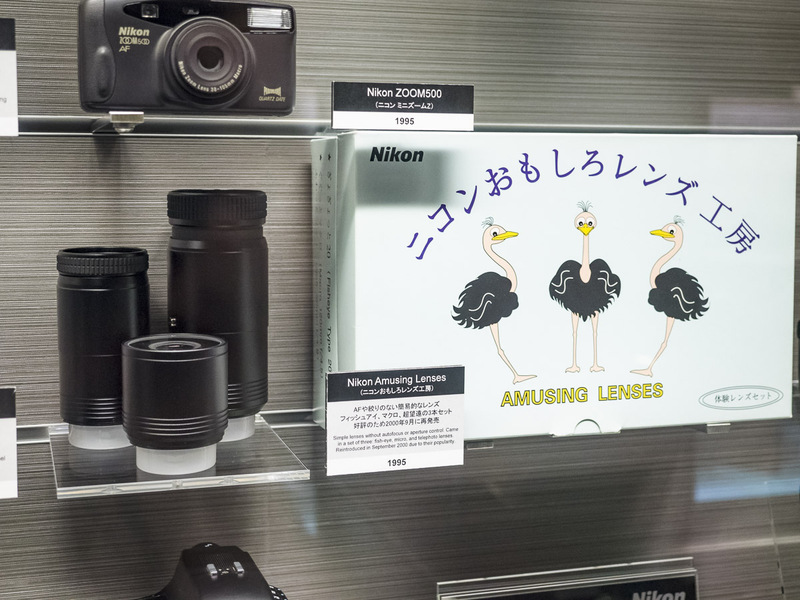 Nikon Amusing Lenses set was especially popular – it consisted of three devices (a fisheye, a macro and a telephoto lens) without any autofocus or even an aperture. 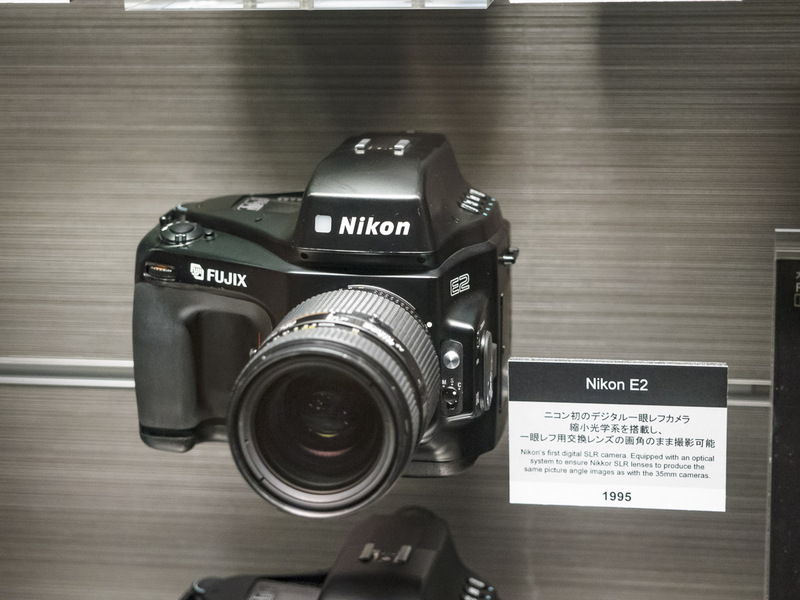 In 2000, five years after their initial launch, Nikon Amusing Lenses were put on the market again, such was the pressure and expectations of customers. Digital photography was being developed side by side. 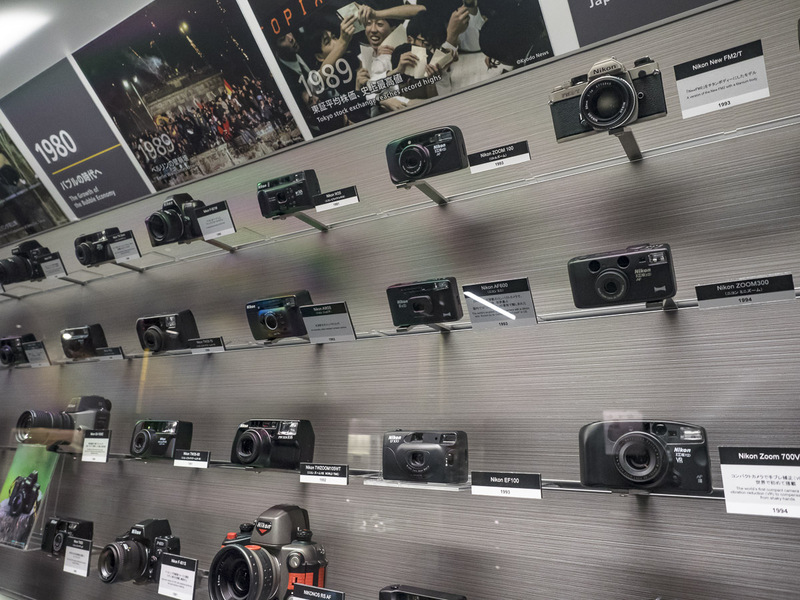 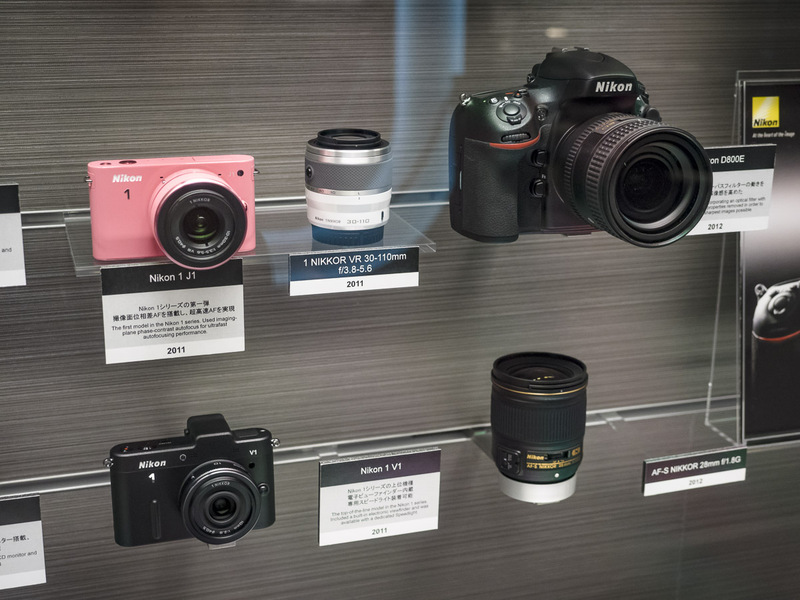 Although neither the quality nor the dimensions nor the price of first products were impressive enough, Nikon continued going in that direction consistently, presenting with Fujifilm the next versions of Nikon E reflex cameras and digital Coolpix compacts. 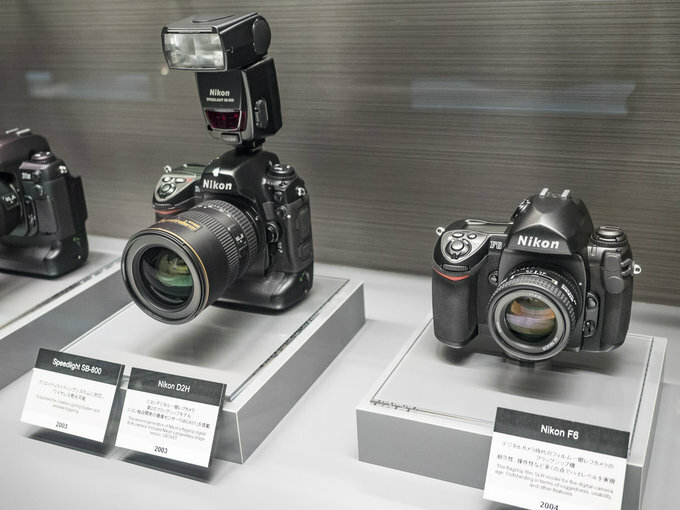 The Nikon D1, presented in 1999, was like a crowning achievement of these efforts. 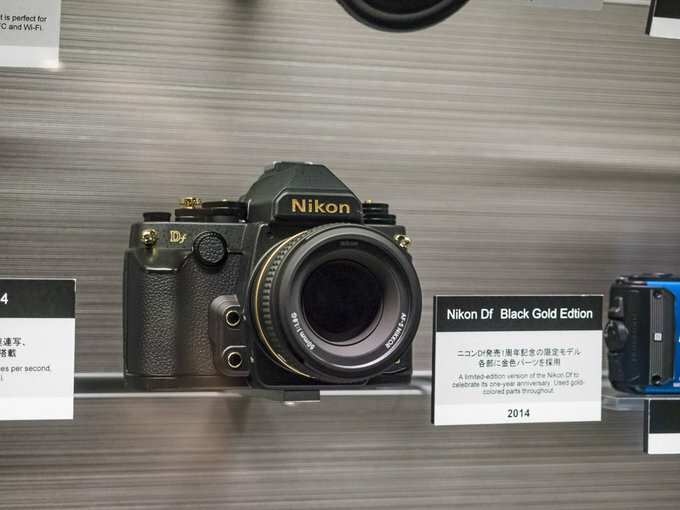 The creation of the Nikon D1 was based on such concepts as: “perfect image quality”, “maximum speed” and “easy-to-use design”. 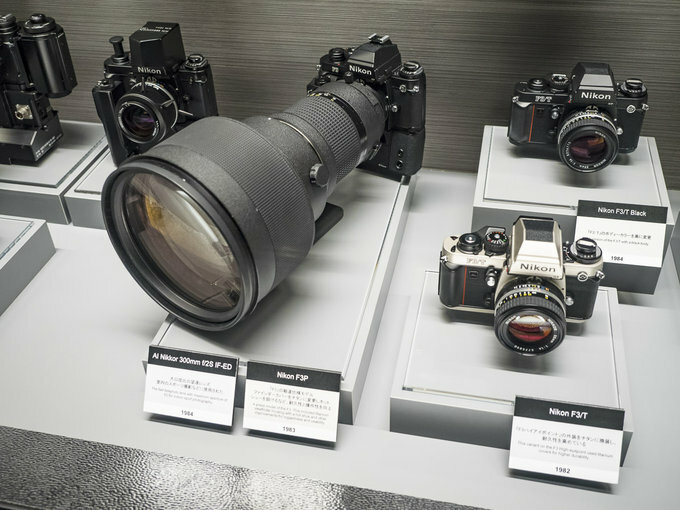 That’s how a single lens reflex camera was created with AF for interchangeable lenses system. 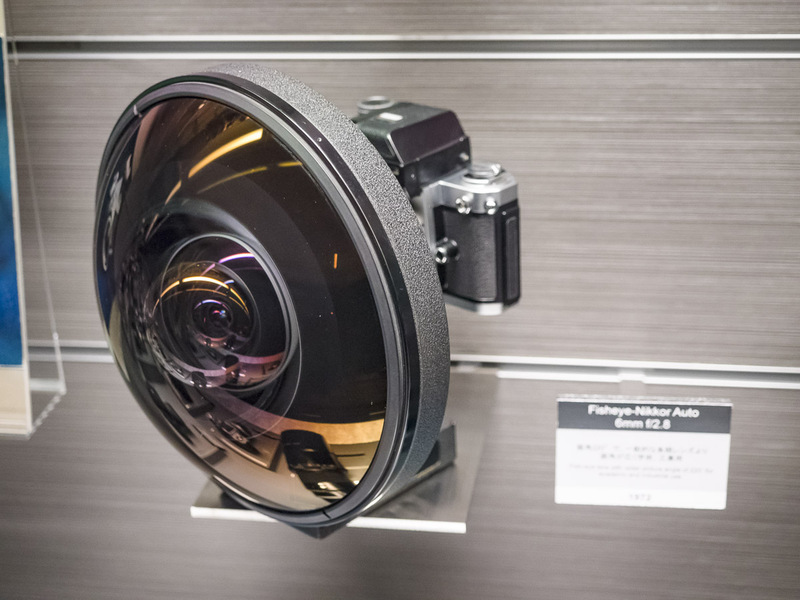 It was a revolutionary product exactly because of its image quality, speed, dimensions, weight and a relatively low price. The Nikon’s D1 project started in 1996 and it was led directly by the president of the corporation. 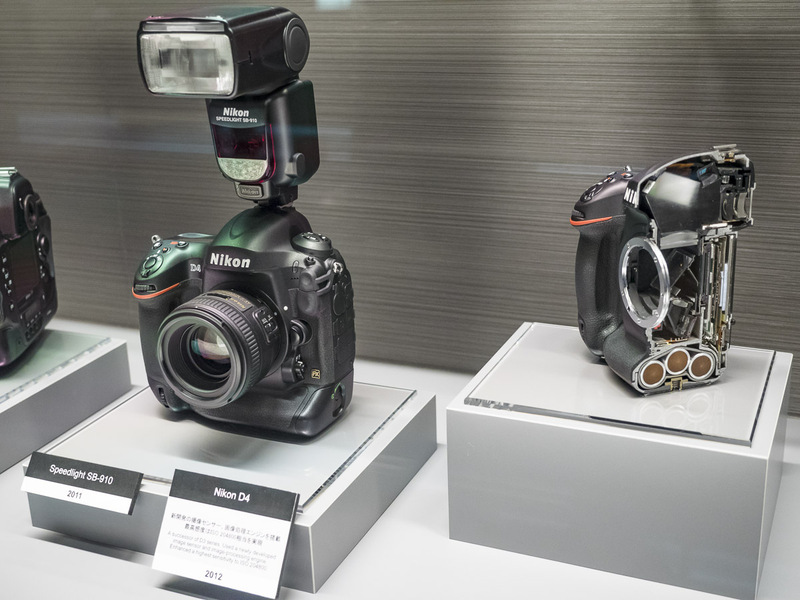 The aim was to design a new, authentically ‘home grown’ digital camera in two years’ time. 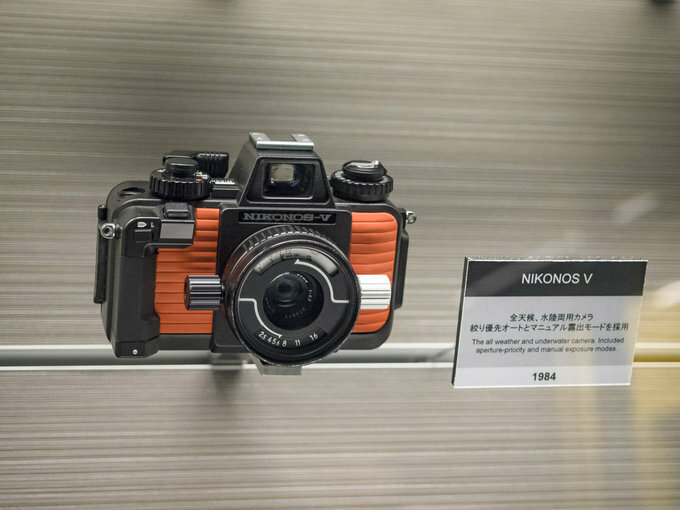 That challenge was met by a team of 10 people, mainly from the design department. Initially the project leaders had asked to extend that period to 3 years, saying that two years are too short a time because the Nikon portofolio lacked a set of digital technologies they needed. Still the answer was” “Nikon doesn’t have so much time” and the company did their utmost to finish the project in two years as planned. 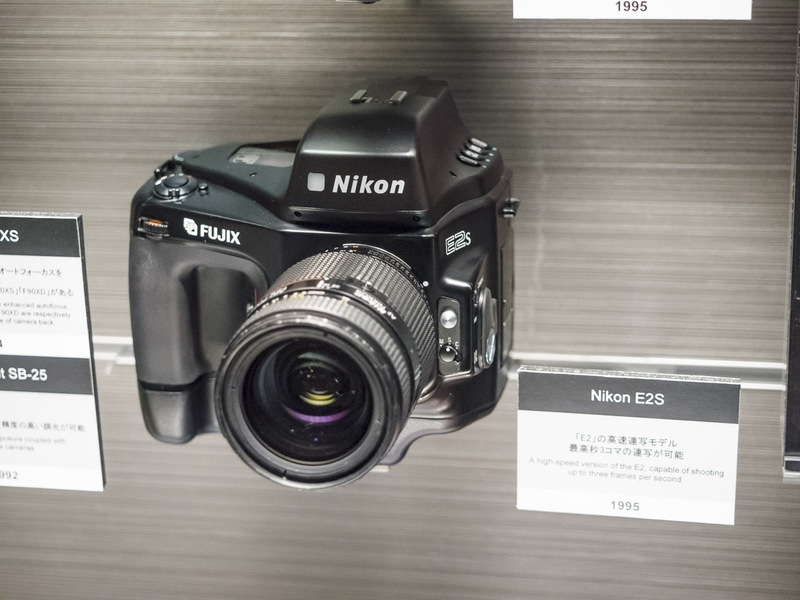 In 1998 Nikon launched the COOLPIX 900, a digital compact camera and in September next year the Nikon D1, their first professional reflex camera,. 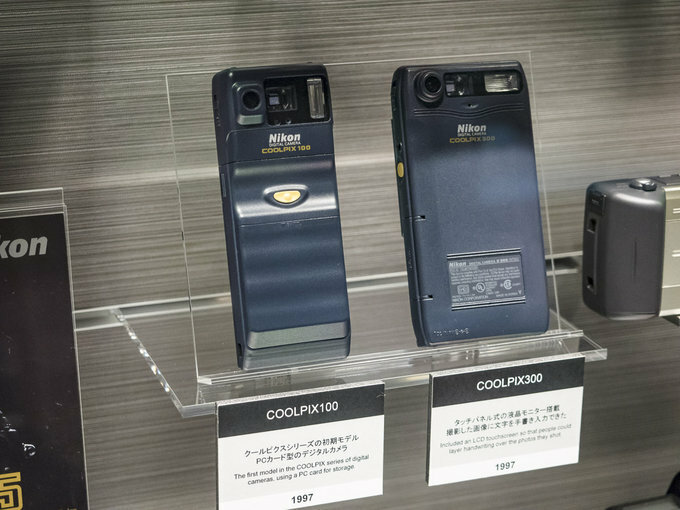 It was a ground-breaking device, offering many advantages like a perfect image quality, flexibility and functionality. 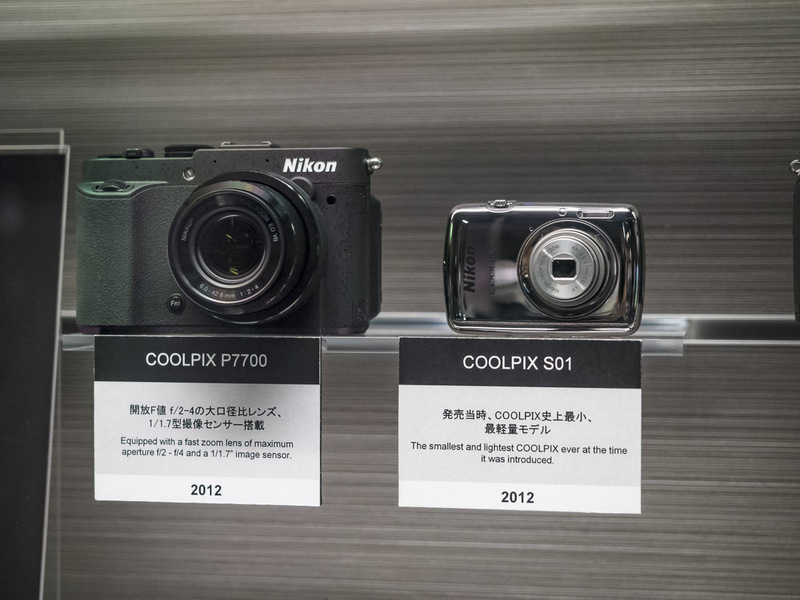 It also cost just 650 000 yens, 1/3 of the price of rival products. 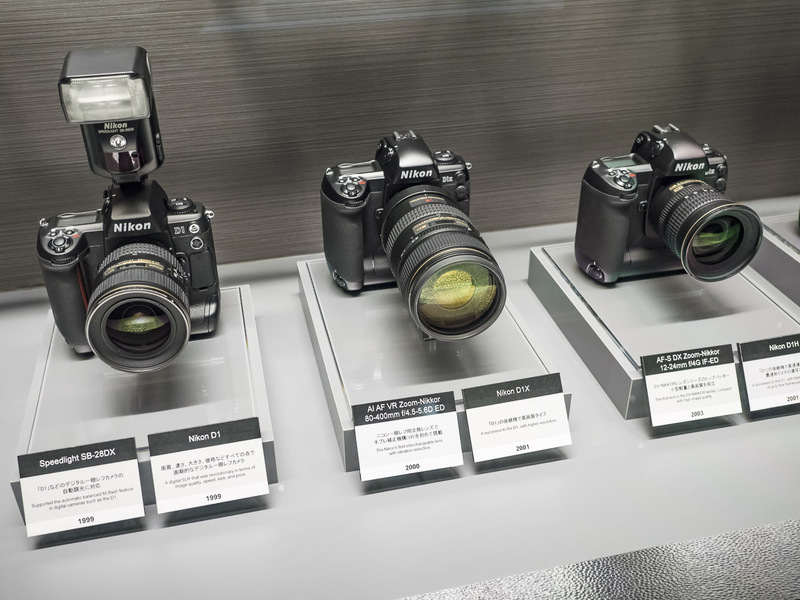 That way digital reflex cameras were made popular. 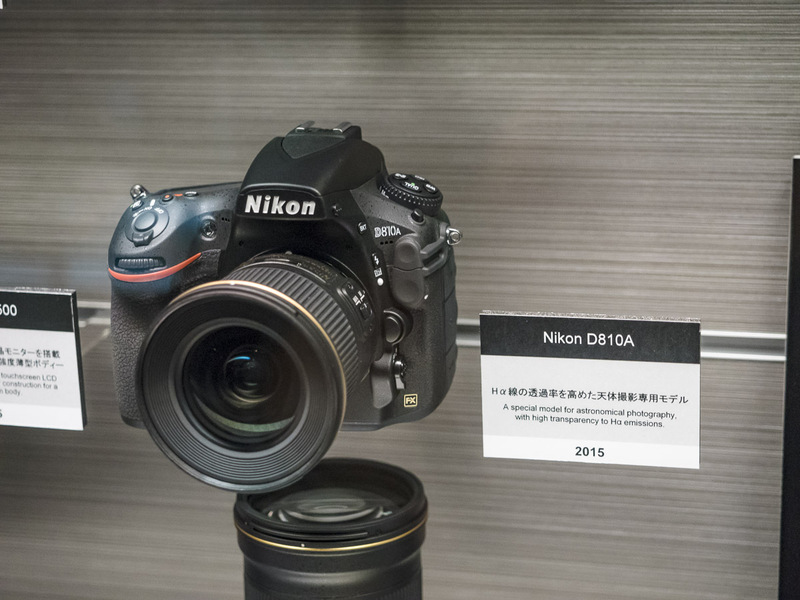 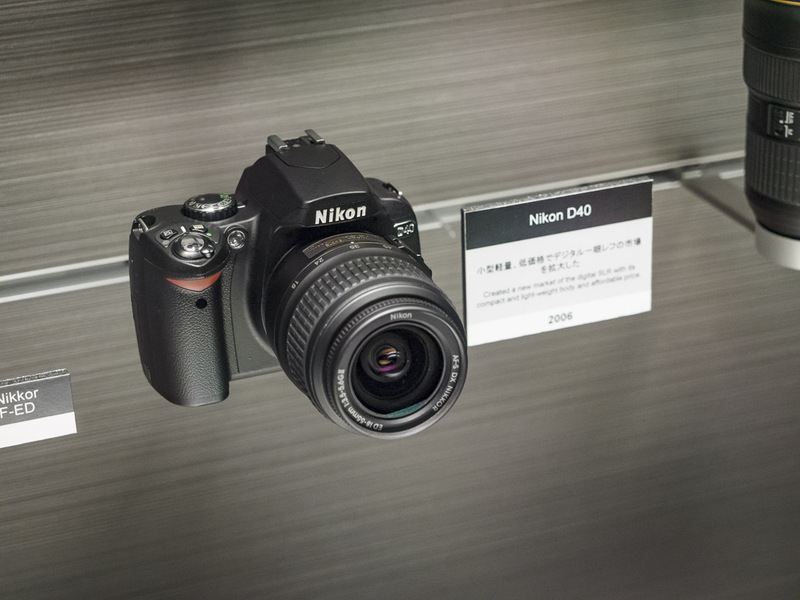 Ever since Nikon have been continuing the production of advanced flagship models, the current Nikon D5 among them, which are always a bit ahead of customers’ expectations. Now we are getting to our century and its products which take three times as much space in the cabinet as years 1945-1969. The last 17 years are the decline of analogue photography but they brought us such collector’s items like e.g. 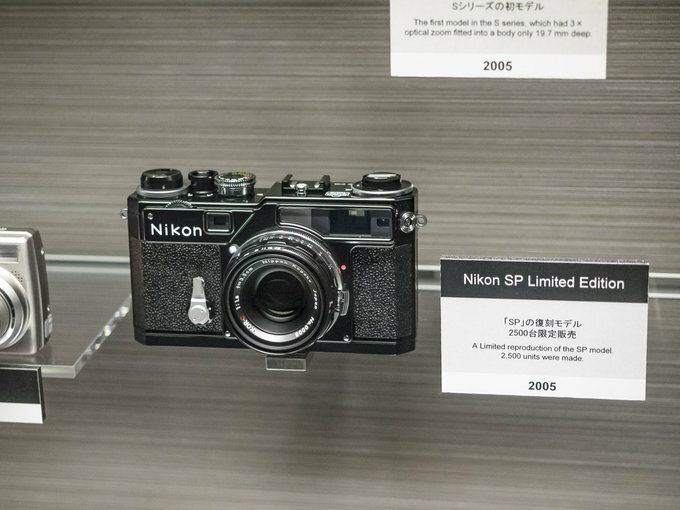 the Nikon SP LImited Edition so the reproduction model of Nikon SP, the most sophisticated coupled rangefinder camera from 1957. 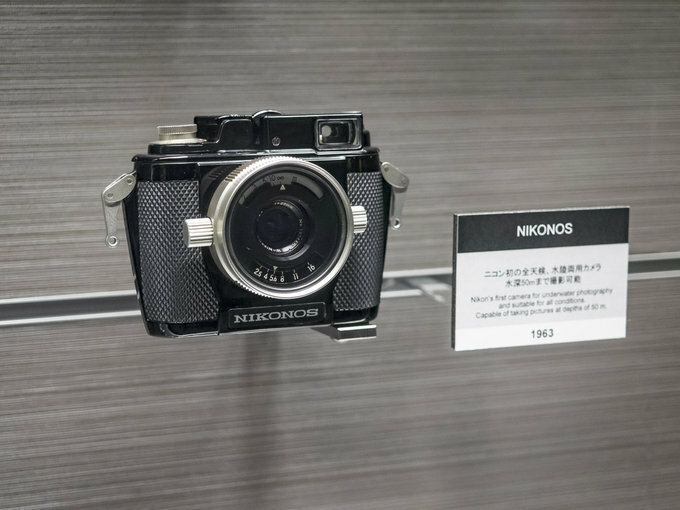 Only 2500 units were produced and distributed in shops. Nikon SP was a legendary well-designed rangefinder camera produced in Japan. 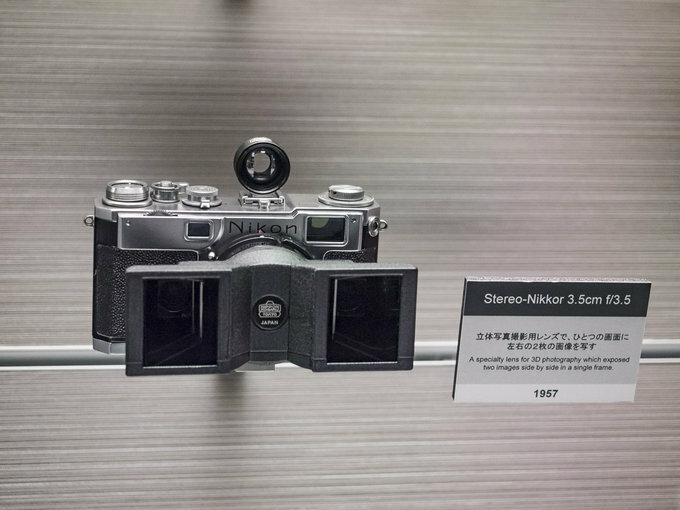 The SP’s universal viewfinder could accommodate a total of six (6) focal lengths, 2.8 cm, 3.5 cm, 5 cm, 8.5 cm, 10.5 cm, and 13.5 cm, thereby providing the largest number of frame options in the world at that time. 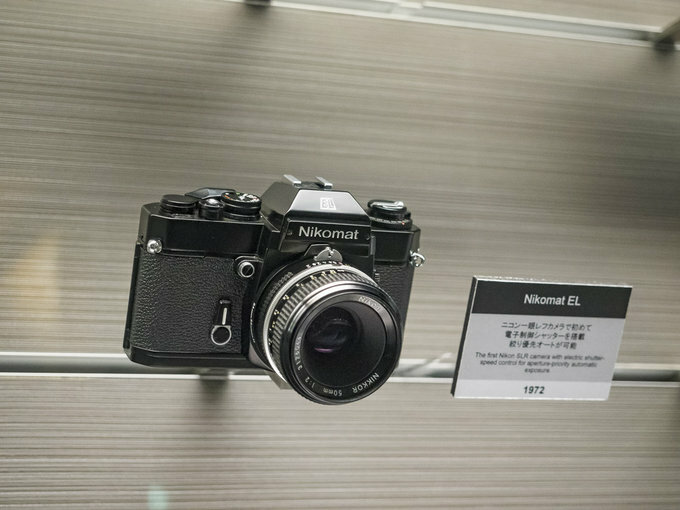 It enjoyed a great popularity, especially among press photographers and professional photographers, and was awarded many prizes for its almost noiseless shutter which adopted the rear-curtain accelerating device and a silent brake, using the shaft cramping power of a coil to absorb the shock of the shutter for a completely noiseless, vibration-free work. 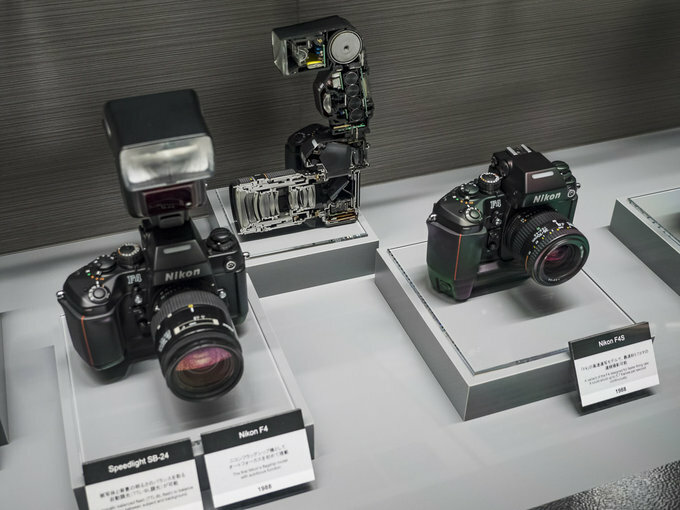 In time these technologies developed and formed a system camera with a motor drive as fast as 3 frames per second, the Finder Illuminator which illuminated the frame of the finder in a dark conditions and the flash synchronization connector in accessory sledge. As separate accessories were all directly coupled, eliminating the need of an accessory connecting cord. 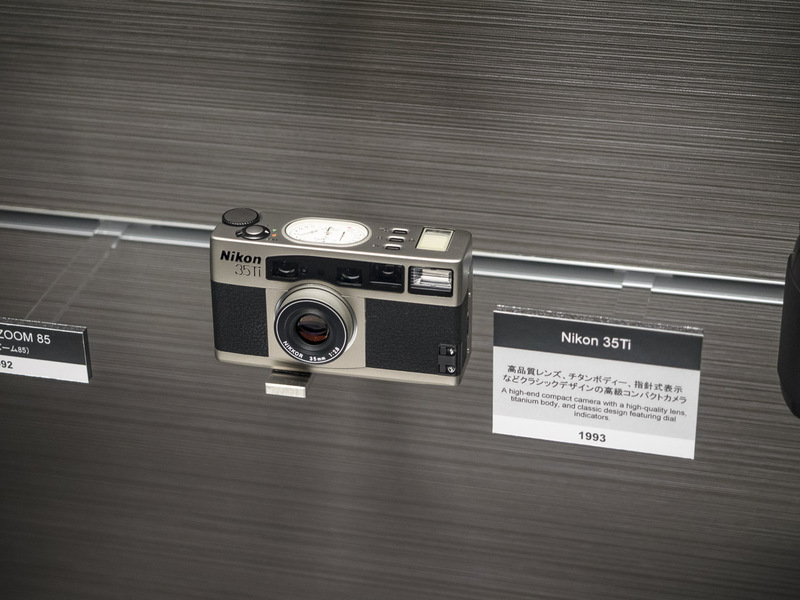 A self-timer was also built-into this camera – it was done for the first time in any Nikon company project. Still our age belongs firmly to digital photography so in the next part of the cabinet there are just Nikon D reflex cameras, mirrorless Nikon 1 cameras and Nikon Coolpix devices. 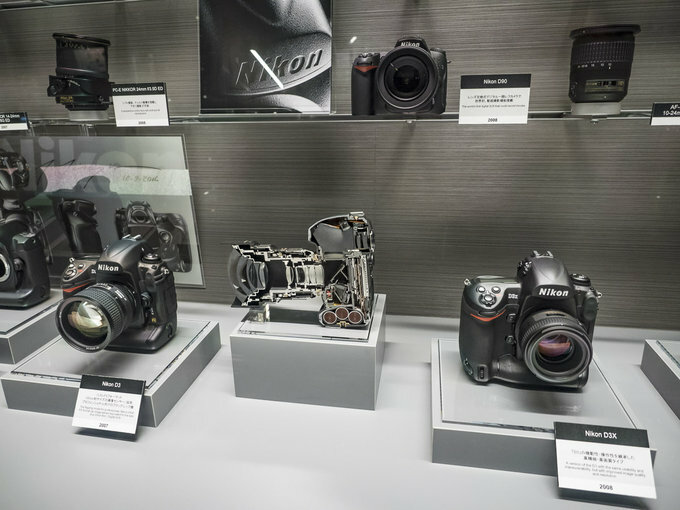 The furthest in the hall, near the end of the cabinet, you see a part of the exposition called „Nikon in Motion”. 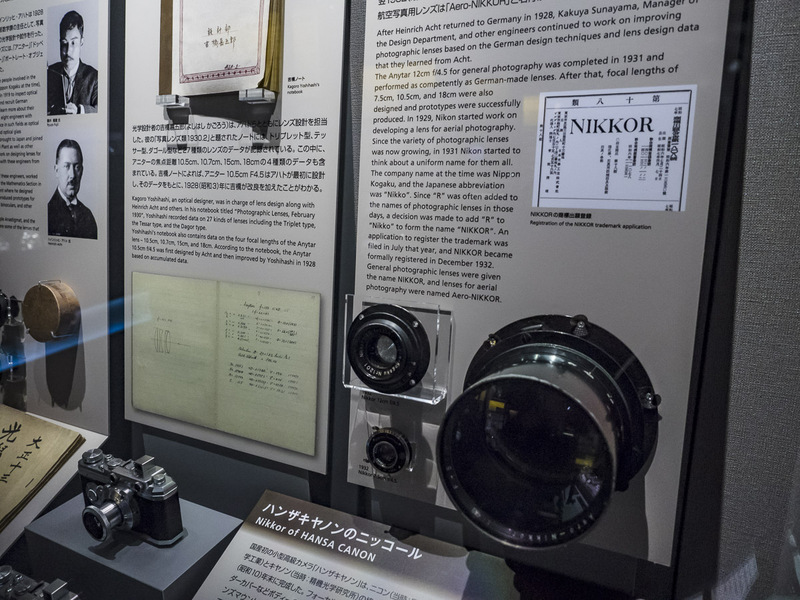 It is a small room surrounded by historical Nikkor lenses with a screen on which you can watch a movie “Made by Nikon”. It presents stories behind workers of the company from different parts of the world.